Since we are a charitable organization, we deeply appreciate any support you can offer as we work to ensure every child has a happy birthday. Please make a donation or consider shopping through AmazonSmile. Your shopping makes a difference. 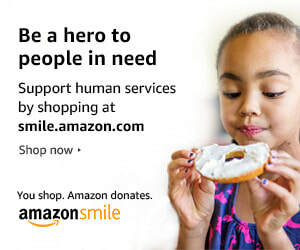 Do your regular Amazon shopping at smile.amazon.com/ch/41-1774632 and Amazon donates to Cheerful Givers. ​​Be sure to use this link each time you shop.